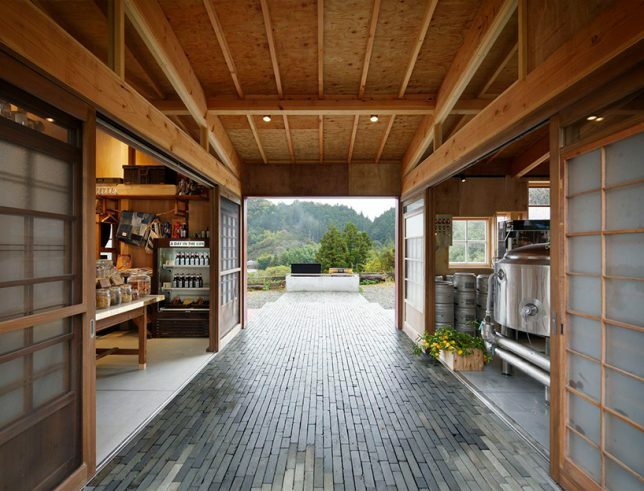 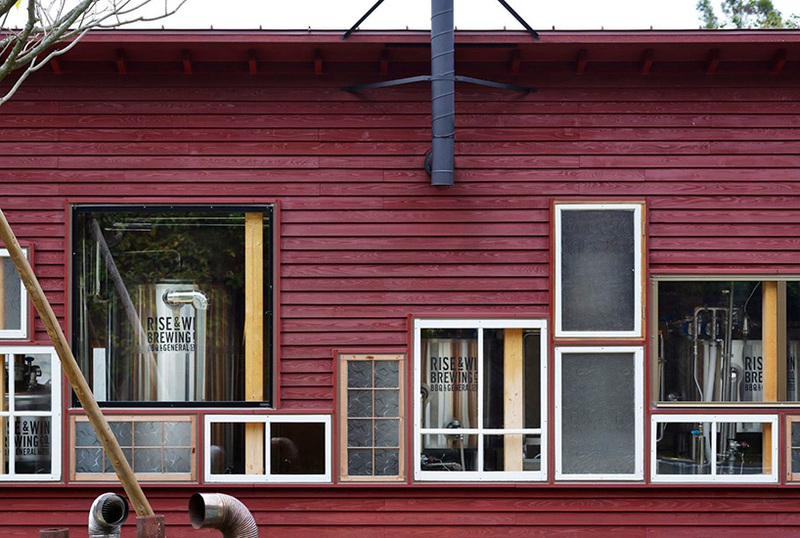 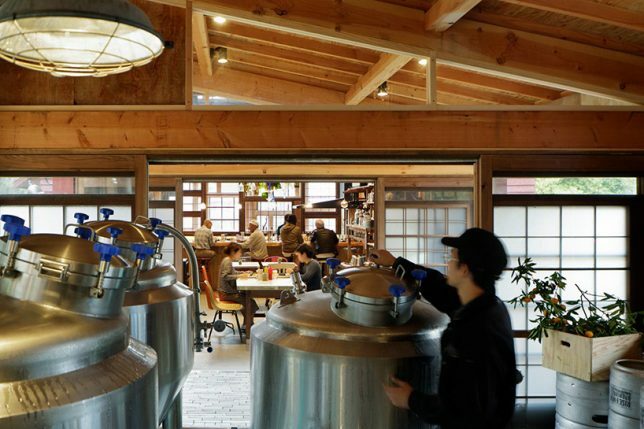 A new pub and brewery building has been constructed from recycled materials in Kamikatsu, a Japanese town famous for its advanced recycling program that sorts waste in 34 categories for optimal reuse. 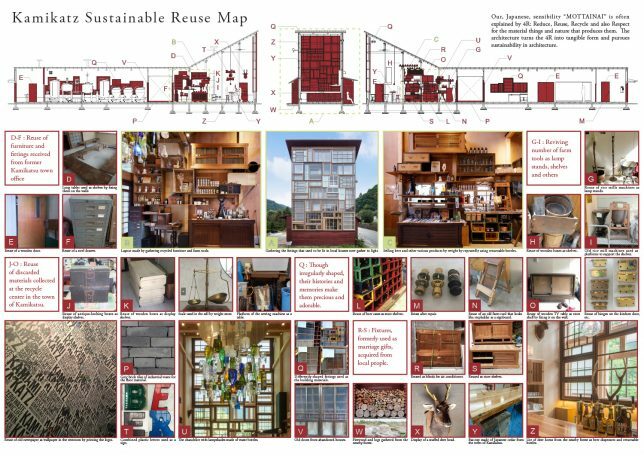 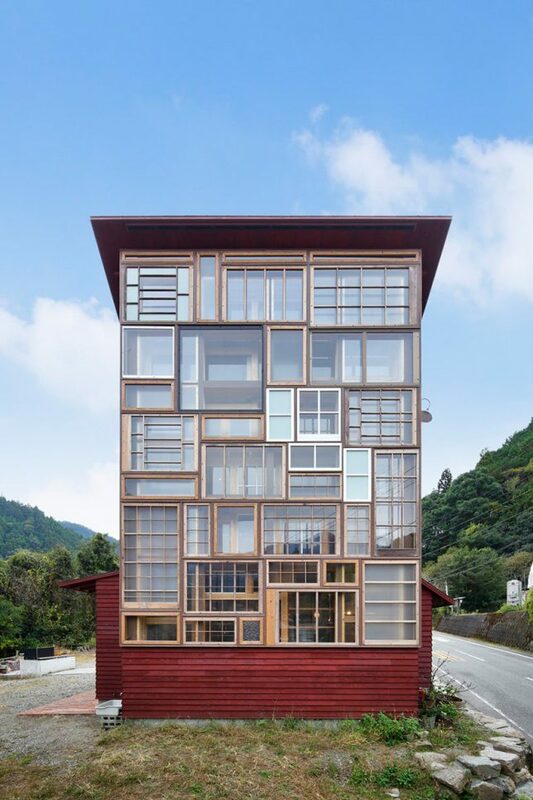 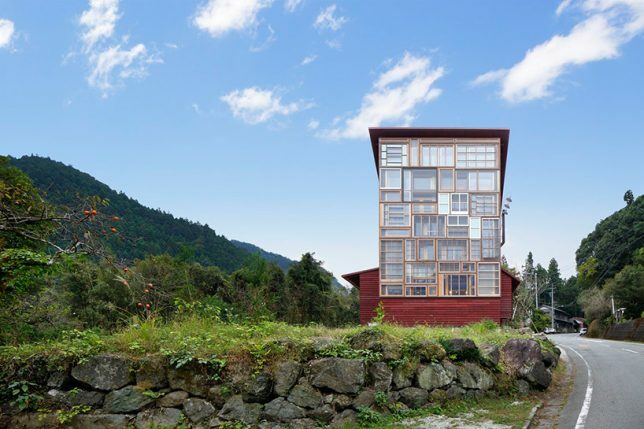 Designed by Hiroshi Nakamura & NAP, the structure embodies the waste-reducing principles of the community, which manages to remarkable 80% recycling rate. 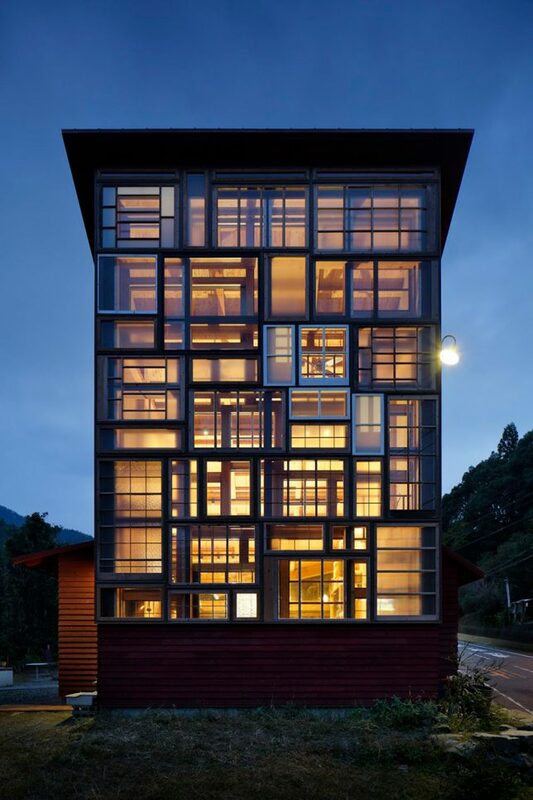 Prominently, one facade is constructed from windows taken from abandoned houses and doubled up to trap air and improve insulation. 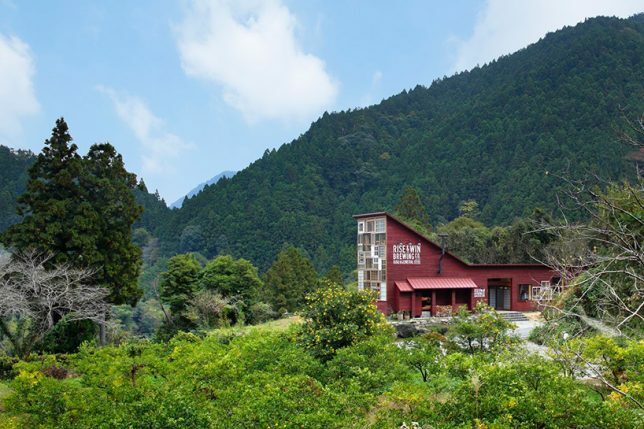 This community-facing elevation brings in light but also acts as an icon of sustainability for the town but also a beacon to outsiders highlighting the area’s eco-friendly endeavors. 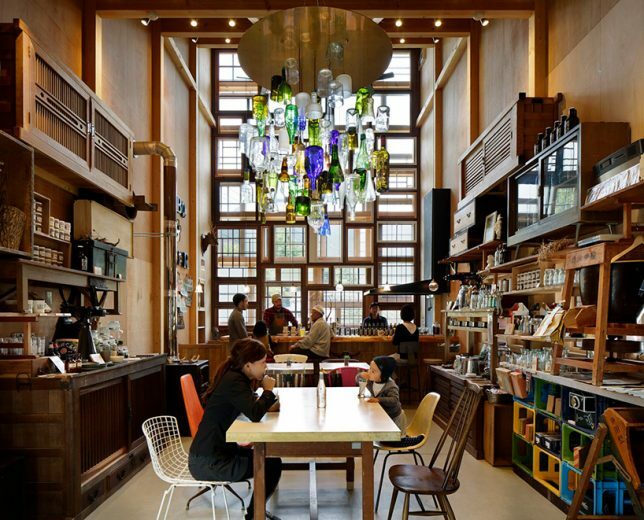 Their pub (a word derived from ‘public house’) aims to be open and inviting, a place where people can share a drink in large shared spaces. 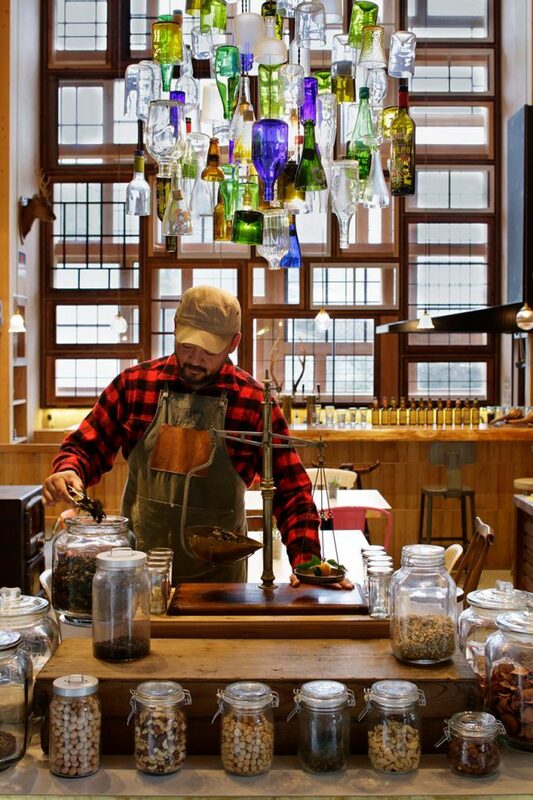 Patrons sit on upcycled and converted furniture from various sources, walk on surfaces tiled with old factory flooring in spaces wall-papered with old news, all enclosed by facades wrapped in recycled cedar boards. 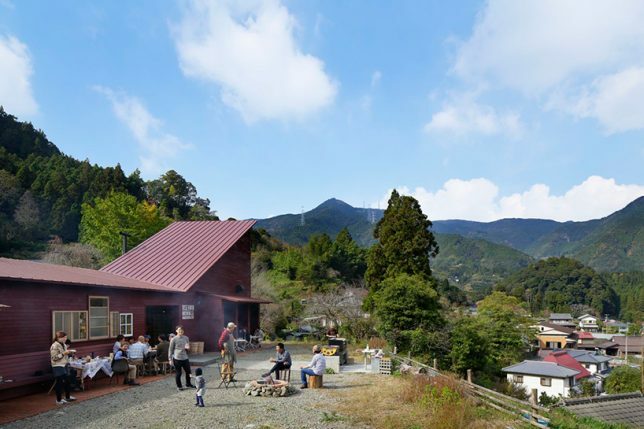 The business also sells groceries and other household supplies, acting as a commercial hub for the town in various secondary ways.